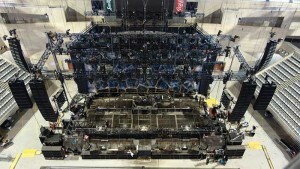 Germany – Dart Rigging GmbH has been handling rigging on Rammstein shows since 2005 and for the band’s last two tours has been using Ron StageMaster wireless load cells by Eilon Engineering to monitor the large set up and any overload issues. 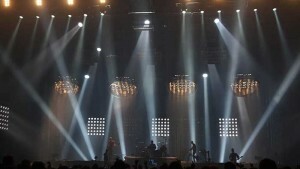 “Rammstein rigs continue to get increasingly complex,” states Dart co-owner Martin Gehring, who served as head rigger on Rammstein’s 2009-2011 “Liebe ist für alle da” tour, as well as the 2011-2013 “Made in Germany” tour, which ended in August. The Ron StageMaster system’s extremely long battery life gives continuous operation for up to 5,000 hours (10,000 hour option) with no sleep mode or stand-by mode. The system is also compatible with smart phones and tablets. 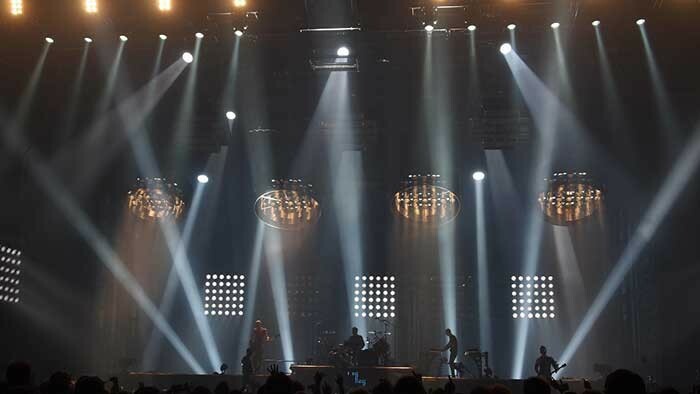 Rammstein has basically been on the road since 2009 and has used the Ron StageMaster load cells at a huge variety of arenas and festivals in both Europe and North America. On the “Made in Germany” tour, Dart turned to Eilon’s award-winning Ron StageMaster 6000 G4, which can accommodate a virtually unlimited number of load cells. On this tour, Martin used it to monitor 42 wireless load cells from a laptop. “You need to be sure the weight you’ve stated in the plot is correct and you often need to prove it to a venue engineer,” Martin says. 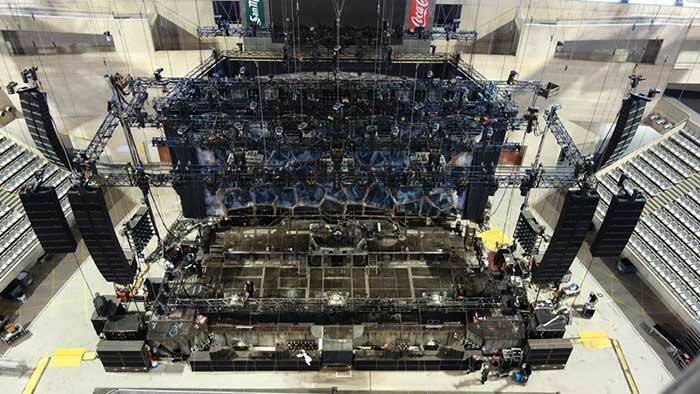 “Using the RSM 6000 was a very safe way to make sure that the mother grid was levelled right for every show so that the weight distribution mirrored what we had in our rigging plot. It is obvious that when it comes to a large grid with dynamic loads there is no way that you can just level it by using tape measures. The weight distribution would be different each day. Martin monitored the Rammstein rig from a laptop in real time with the RSM software allowing him to overlay the load map onto the plot on screen, making it easy to see where motors, weight, etc. were on the plot. Martin also says that to be able to control the weight every day also helped to get approval from house engineers at smaller venues where they were very close to the overall weight capacity of the roof.